GOODGUIDES HAVE THE MOST EXTENSIVE KNOWLEDGE OF TERRAIN ACROSS HAKUBA, MYOKO AND THE WIDER NAGANO AND NIIGATA PREFECTURES. WE SPECIALISE IN GUIDED BACKCOUNTRY TOURS AND ACCOMMODATION PACKAGES, DAY TOURS AND AVALANCHE SAFETY. 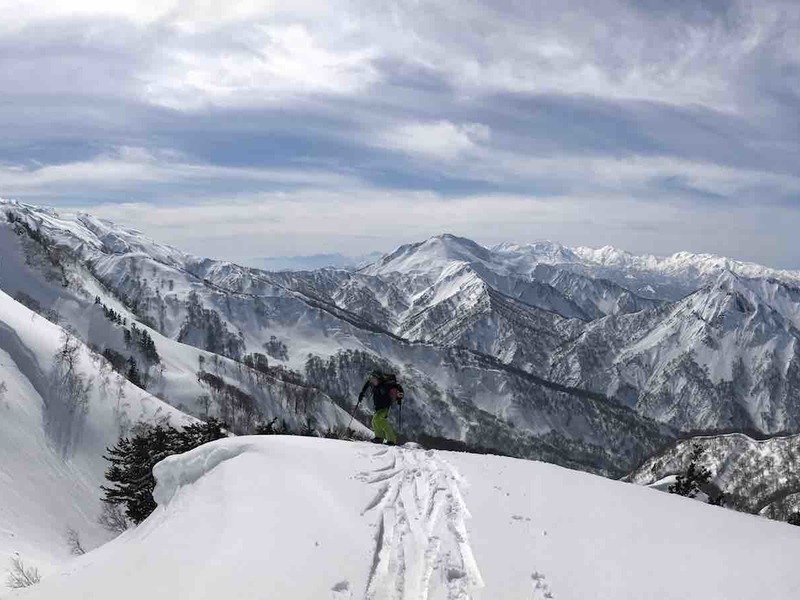 The Alps to Coast Backcountry Package takes in a wide range of areas throughout the Nagano and Niigata prefectures. 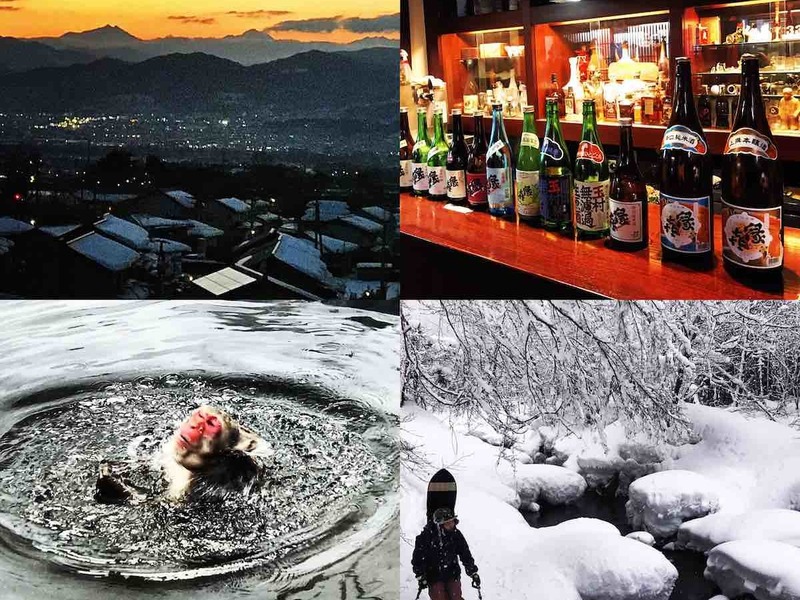 These trips will be based out of Hakuba and Myoko but will travel to places like Shiga Kogen, Nozawa Onsen, Madarao and many more smaller resorts in search of the best snow. Our aim is to ski deep powder all day. When we can do this from the lifts we will lap it up all day. If it has not snowed for a few days we will ski tour or take short boot packs to make sure you are skiing the best snow possible. Hakuba’s Northern Alps are without doubt the most impressive mountain range in Japan. Big mountains and deep snow can of course mean heightened avalanche danger. GoodGuides professional and certified guides will keep you safe and keep you skiing good snow in whatever weather conditions the mountains bring. The Myoko area is renowned for its abundant snow falls and fabulous tree skiing. From Myoko we are able to access a huge range of resorts and mountains that have varying weather patterns. This means that even when the weather is not cooperating we are potentially in range of some of the best skiing of your life! Our guides are not only professionally trained and qualified but are in the field everyday and know the conditions and terrain inside out. The guides also have an extensive network in the local community enabling them to access local knowledge and information from the surrounding snow community. These tours are aimed at skiers and riders from strong intermediate wanting to gain more backcountry experience to advanced/expert skiers and riders. We will split sidecountry or ski touring groups accordingly. Equipment Required: You will have avalanche safety gear supplied as part of the package.Ski touring groups will also need touring gear which could be skis with touring bindings & skins, a split board with skins and/or snow shoes. These tours can also be customised to your dates and group (subject to availability). Advanced bookings are essential as these tours book out well ahead of time. Local knowledge and interaction with real local people! Day 1: Transfer to Hakuba to where your guide will be waiting to greet you. From there your guide will give you an introduction to the local area, make sure you have everything you need and deliver you to your hotel for some relaxation before your dream ski holiday begins. Day 2 to 5: Our professional mountain guides will decide the best place to ski each day. Your first morning will start with an in-depth avalanche safety briefing and training. This will give you the confidence to use your equipment with the aim of giving you more skills and knowledge to take away with you at the end of the trip. From here we will potentially ski at any of the 9 resorts within the Hakuba Valley and also other non-ski field access backcountry locations, which we do not wish to disclose here. 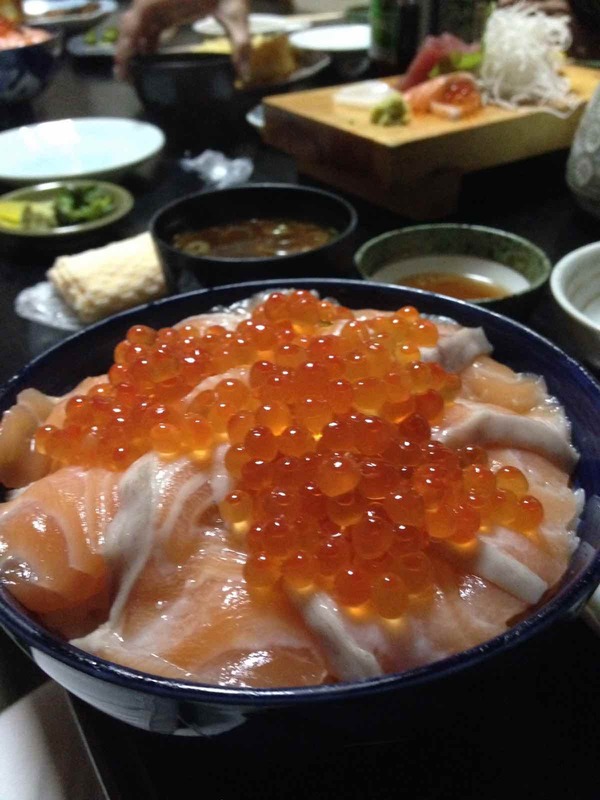 Day 6: We will either ski in Hakuba and transfer in the evening or transfer early in the morning and ski in Myoko. There are also ski options along the way. This again will be decided by where the best snow conditions are! Day 7 to 9: Again our guides will decide which areas to ski each day. Options include any of the resorts at Myoko or short trips to other resorts. 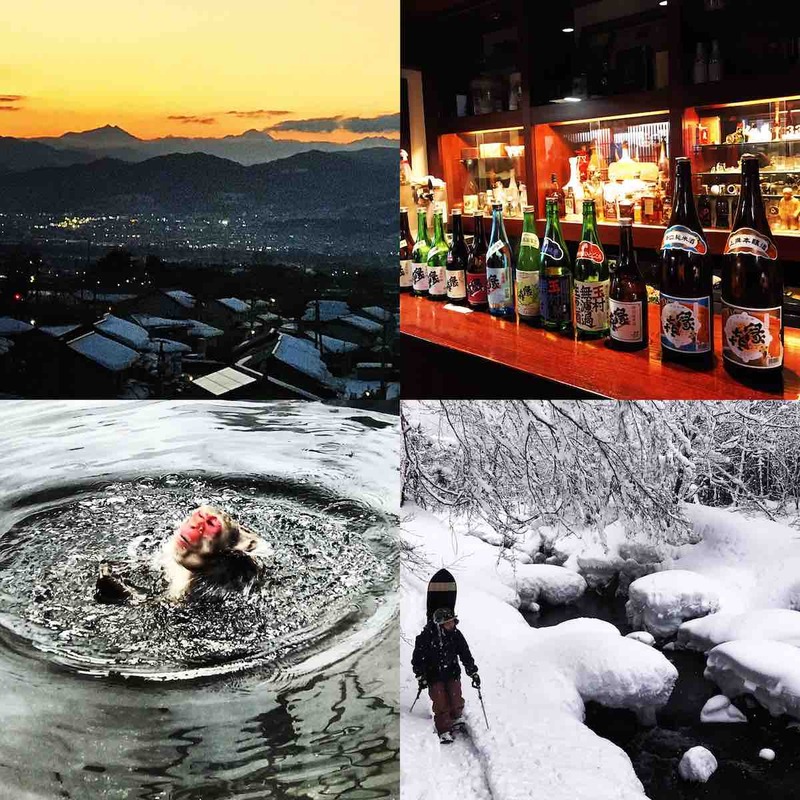 Options include Akakura Onsen, Ikenotaira, Seki Onsen, Suginohara, Madarao, Tangram, Togakushi, Shiga Kogen, Nozawa Onsen and more! Day 10. Wind up the trip with a day of free skiing and or transfer back the airport or your next destination. 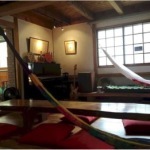 You will stay at one of our comfortable and stylish hand picked accommodations in Hakuba. They are all run by locals and accommodate foreign guests. Meteor Log Hotel or Meteor Pension, which is located in the Echo Land village and is an easy walk to restaurants & bars. The hotel/chalet provides lovely communal spaces and a self-cater kitchen so you can cook your own meals if you prefer. All rooms have private en suite bathrooms (with bath tub) and include soap, shampoo, toothbrush, hair dryer and towels. There is a common computer for guest use and wifi is available. There are also on-site laundry facilities. 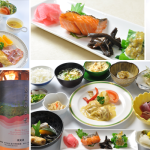 A daily breakfast is provided as part of the package and other meals can be arranged with reservation the night before. In Myoko we will have a similar styed accommodation at Mon Repos. 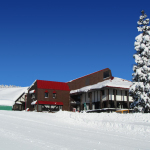 Mon Repos is a ski in and ski out accommodation located a short walking from the lively but small town centre of Akakura Onsen. 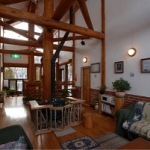 The lodge has a wonderful cosy mountain lodge vibe. It is family-run and there are 3 generations of Japanese hospitality that really make the lodge special. 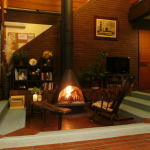 The lodge has a communal area with a fireplace and bar. The rooms have western beds and some rooms have private bathrooms, whilst others utilise shared bathrooms. Daily breakfast is provided as part of the package and other meals can be arranged with reservation the night before. Dinners are delicious and incorporate locally sourced ingredients including delicious seafood from the nearby coast. Every meal is unique and comes with several small dishes. The lodge has a computer for guest use and wifi is available. There are laundry facilities on-site. 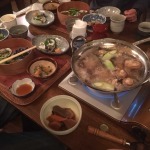 I went skiing in Hakuba in February with 5 friends and Jerry as our guide. One of the best skiing experiences I've ever had. The mountain and package was excellent, and Jerry went out of his way to make it a memorable experience. Would highly recommend it to anyone else going that way and make sure you get Jerry as your guide! GOODGUIDES love skiing and adventures. We have devoted our lives to going further and doing more. Now we want to take you with us. 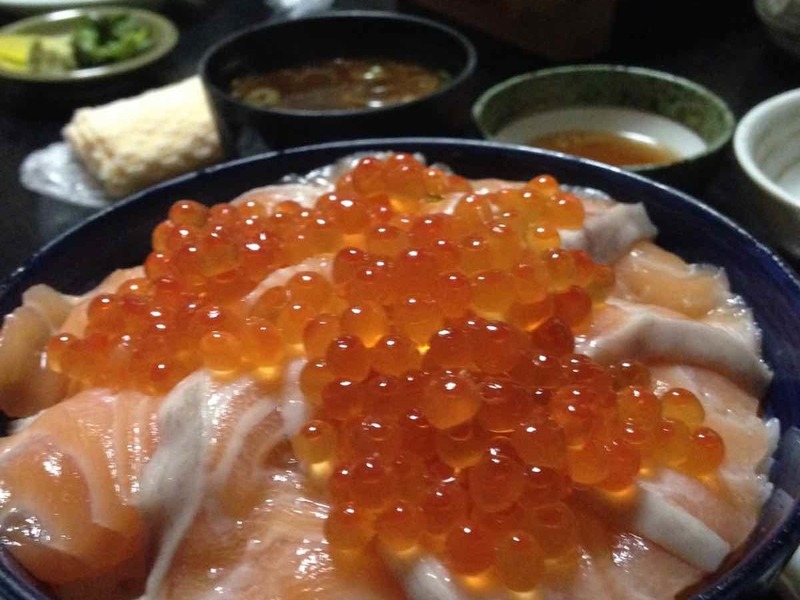 We specialise in backcountry tours in Hakuba, Myoko and Nozawa. Join is for a trip of a life time this winter - you won't regret it.